Our experienced teachers give their hearts and souls to guide and encourage children through carefully planned activities that allow them to develop at their own ideal rate. Many of the tree house teachers and staff have been part of our school for ten years with many over 15 years. We offer a very stable environment and consistency for your children. Our teachers receive ongoing, extensive training, and all are certified in First Aid and CPR. I finally found a preschool that allows my children to be with loving and caring teachers and learn through play. In addition to the changes in the classroom, the teachers have also had extensive training in ‘The Creative Curriculum’. All of our teachers have dedicated two of their days off to professional development. The Tree House sponsored a two-day seminar on the implementation of ‘The Creative Curriculum’ taught by a trained Creative Curriculum staff developer. It was a chance for the teachers to come together, share ideas and learn how to take what they already know and apply it to our new curriculum. The teachers not only learned about the curriculum, but they also learned more about current research on brain development and its implications on early childhood education. It was a great educational experience for all! Jen has been the Director at The Tree House for since 2011. 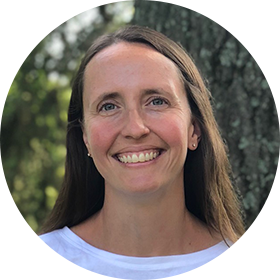 Prior to working at The Tree House, Jen worked as a Kindergarten teacher in the Parsippany School District and as a first grade teacher in Bernardsville. 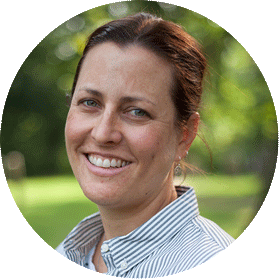 After having her first child, Jen began working as a professional developer in best literacy practices for the Children’s Literacy Initiative based in Philadelphia. In 2005, Jen took some time off to focus on raising her children. In 2008, when her oldest son, Carter, started attending The Tree House, Jen became active on The Tree House Board. This eventually led to her becoming the Director in 2011. Over the past few years, Jen has focused on bringing the teachers together as a team. The school has begun using The Creative Curriculum which has reminded the staff of the importance of a play-based learning. It has also inspired the staff to teach the children to wonder about the world around them, ask questions and become actively engaged in their learning. Jen is thankful for the dedication and hard work of all of her staff. She knows that it is the teachers who interact with the children each and every day and is grateful for the differences that they make in each child’s life. It is the work of the staff, the participation of the parents and the children who make The Tree House the special place that it is today. Laila Ballon is excited to begin working at the Tree House this fall. 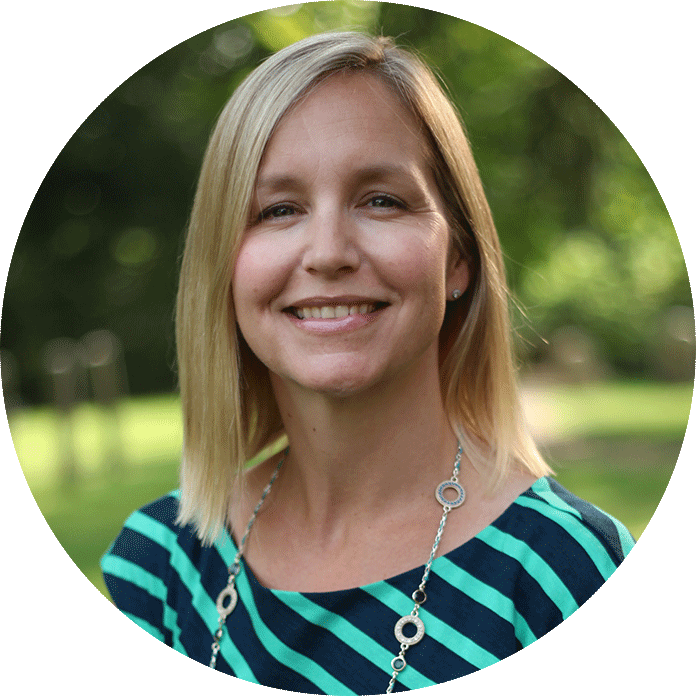 She comes to us with sixteen years of preschool experience, working with 2 1/2, 3, and 4 year-olds, both as a lead teacher and an assistant. Laila believes a positive preschool experience is the foundation for all successful learning and that children should have fun, make friends, and feel part of a supportive community. Laila strives to create an exciting, joyful classroom environment and loves seeing all the wonders that surround us through the eyes of children. Laila grew up in a US military family and as a child relocated every few years to different countries in Europe and Asia, as well as the United States. These experiences exposed her to many cultures and people from a wide range of backgrounds. She moved to New Jersey in 1984 and has resided here ever since. She lives in Gillette with her husband of 35 years, and has two adult children, Madeline and John. She also has two big dogs; Beckham, a sweet old golden retriever, and Loki, a Great Dane, Dalmatian, and Shepherd mix who thinks he’s a lap dog! 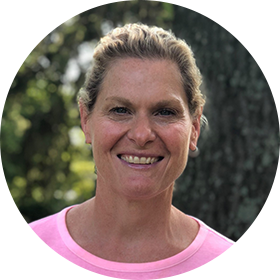 A teacher of three year olds since 1999, Moira Bontempi is known for being full of fun, experience, and as someone who welcomes an open relationship with the parents. Not only does Moira enjoy the joys experienced in her own classroom – she also revels in taking part in special activities which involve the entire school and classes of all ages. Moira currently teaches both the two year old and three year old classes. Moira lives in Basking Ridge with her husband. Lesley Borup has been teaching at The Tree House for nearly 22 years, mainly with the four year olds. She currently shares a classroom with Beth Altonji. Lesley believes that The Tree House is like a home away from home for the children. For this reason, she strives to create a warm and comfortable environment in her classroom where the children feel safe and loved, and where the parents feel welcomed. She believes in balance in the classroom and recognizes that there is a time for structure and a time for flexibility when it comes to playing and learning. Lesley lives in Morristown with her husband, Scott. Her hobbies are cooking, exercising, reading, and working on projects around the house. She also loves to travel and see new places! Eleanor Cignarella started at Tree House in 1999 as an Assistant Teacher in a 4 year old class. She then became head teacher and was the Assistant Director of the afterschool program. She left to have her twins, Francesca and Santino who attended Tree House from 2010 -2012. She continued to be a substitute from 2010. This year, she will work in the afternoon with the 4 year olds. Tree House is a place that has made great memories and a place she has made lifelong friends. Keri Conkling is working with Phoebe Crane in the 2 ½ year old class. Keri’s first experience at Tree House was many years ago when her son attended the school. Her son’s special experience at Tree House is what led her back to the school after spending time at home to raise her two children. Keri is so excited to be starting her third year at Tree House. 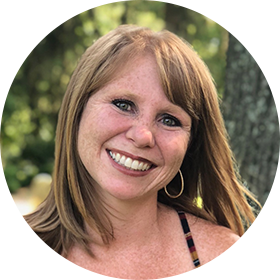 With a Bachelor’s Degree in English, substitute teaching certification and many years as a teacher of CCD at St. James, Keri brings many years of experience to her classroom. In addition, Keri co-authored the children’s book, A Glove of Their Own. Keri describes herself as a cheerleader and reinforce to people of all ages. Keri’s positive energy makes each day a fun and exciting one at The Tree House. Phoebe Crane has been working at The Tree House as an assistant and substitute since 2013. Currently, Phoebe works with the 2 ½ year olds and 3 year olds. Phoebe feels that the most important characteristic of The Tree House is that it provides an openly structured, well-organized atmosphere, which is always partnered with kindness and caring. It is this atmosphere that Phoebe tries to establish in her own classroom. Phoebe lives in Basking Ridge with her 11 year old daughter, 6 year old son and cat named Teddy. As a family, they enjoy spending time outdoors, going to the zoo, visiting family in upstate NY and going to the pool in the summer. Mary began working at The Tree House as a substitute teacher. Her love for working with children led her to work in a classroom position only 5 months later. Now, almost 6 years later, Mary works with her sister, Lynn Wolf, in a 3 year old classroom. Each day, Mary looks forward to coming to work to laugh, have fun with the children and to help them learn. Mary believes that a teacher must follow the lead of the children in her classroom, changing to meet the needs of each child. Her favorite thing about working with this age group is the honest joy that they express when they learn something new. Mary has been married to her husband Steve for 9 years. She has two sons, Adrian, 15 and Kieran, 14, who both go to Bernards High School and 4 step children, who live in Wayne, NJ. Mary and her family live in Bedminster with their rescued dog, Coco and Peanut, a cat. Stephanie has been with The Tree House as a teacher for 5 years. Prior to that, Stephanie was a Tree House parent as both of her children attended The Tree House for 3 years. Stephanie works with Wendy Marchev in a 4 year old classroom. She holds a BA in Art Education for grades K-12 and enjoys bringing her art experience to the classroom. Stephanie is dedicated to her students and is grateful that she can share in the joy of laughing and learning together. Stephanie and her husband, Tim, have 2 children, Sally and Charlie, and live in Basking Ridge. In her spare time, Stephanie enjoys doing arts and crafts with her children, gardening, cooking and volunteering at her church. Tara has taught the 2 ½ year old class for the past 2 years. She is currently teaching the 3 year old class. Nine years ago, Tara’s twin boys, Andrew and Joseph, happily attended Treehouse for 3 years. Tara has a BA degree in Elementary Education from King’s College and certified K-8. She taught 2nd, 3rd and 4th grades for 10 years before having her boys. While a Stay-at-Home Mom, Tara taught Liturgy of the Word for 5 years at the preschool level and CCD for 2 years at St. James Church. She is compassionate, conscientious and patient who treats her students like her own children. Tara is dedicated to helping her students feel secure, have fun and love school! Tara and her husband, Dwight, have been married for 19 years and have lived in Basking Ridge for 15 years. Their sons are attending Middle School now. She loves spending the summer with her family at their shore house. She also enjoys singing, dancing, reading, traveling and attending her family’s sports activities as their cheerleader and photographer! 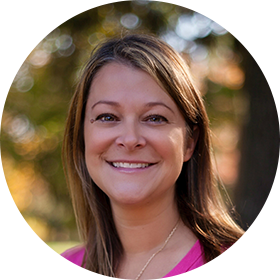 Megan lives in Basking Ridge with her husband, Doug, her three children and their two dogs. She loves to bake, go to the beach and spend time with her family! Bonnie has been with The Tree House as a teacher since 2003. Bonnie works with Keri Conkling with a 3 year old class. Bonnie describes herself as friendly, energetic, caring individual who always wants to try and experience new things. Bonnie brings this enthusiasm to her classroom with her many different activities, experiments and creations. 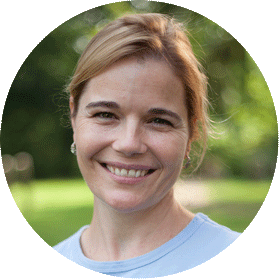 She has a love of children and a passion for teaching as well as an understanding of child development. Bonnie is married with one step daughter and two sons. She recently moved from Morristown to Bernardsville and has lived in this area for most of her life. Her husband is a professional musician and she enjoys traveling with him to his many concert venues. In her spare time, Bonnie loves to hike, eat out, and go to movies and Broadway shows. 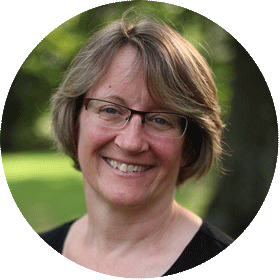 Carol Hipsher has been a teacher with the The Tree House since 2012, having started her time with us as an enrichment teacher. Carol uses the children’s sense of touch, sight, sound, smell and taste to engage them in a multi-sensory learning environment. She takes the time to learn each child’s method of learning and incorporates that in to their everyday classroom experience. Carol Hipsher loves to use her sense of humor and horrible singing voice to make the children laugh every day in every way. 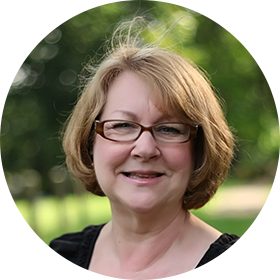 Carol is a graduate of Albright College with a BA in Sociology and Social Work. She is currently pursuing a Child Development Associate credential. Carol and her husband Jake are both Ridge High graduates and are raising their 13 year old son, Tate in Basking Ridge on Panera Bread leftovers and pizza. Their dog Mazy escapes from the yard every day. Laura Kelly has been working with Phoebe Crane in the 3s class since 2016. Prior to The Tree House, Laura taught preschool students with and without special needs in the public schools. She is a certified teacher who holds a BA from Rutgers University and a Master’s in Early Childhood Special Education from Montclair State University. Laura believes it is our responsibility as teachers to provide a positive and caring learning environment that teaches every student and addresses all learning styles. Laura Kelly lives in Basking Ridge with her husband Dale, children Evan and Maddy and fluffy Himalayan cat Sophie Lu. In her spare time, Laura enjoys going to the beach, the pool and cooking. 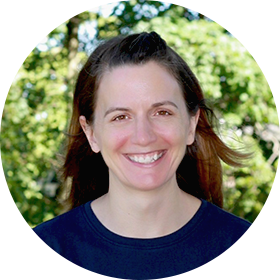 Ellen Kolomatis joined the Tree House in 2001 as an assistant teacher in the 4-year old class with Lesley Borup. 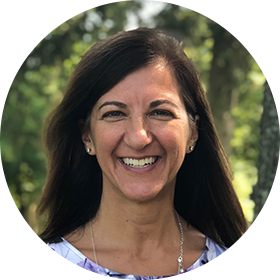 After earning her CDA and obtaining countless hours of professional development, Ellen is currently a lead teacher in the 4 Plus classroom with Randi Kerzner. Her classroom is a fun environment where learning is a positive experience. As a teacher, Ellen prides herself on her positive attitude, patience and her dedication to ensure that each child is learning to his/her best ability. Ellen lives in Basking Ridge with her husband, Greg. They have two children, David and Daniel. David is a professional hockey player, now playing and living in Finland. Daniel is a senior at Merrimack College. In her spare time, Ellen enjoys researching new and exciting activities for her classroom. She also enjoys cooking and “skyping” with her children. 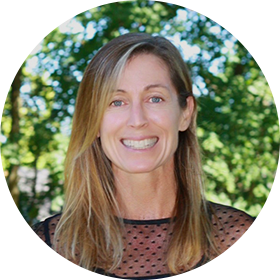 Alisa Larner joined Tree House as a parent in 2009 and as a substitute in 2015. In addition, Alisa’s three children attended Tree House. With its creative environment and warm, loving teachers, Tree House was a wonderful place for them to learn and make new friends. 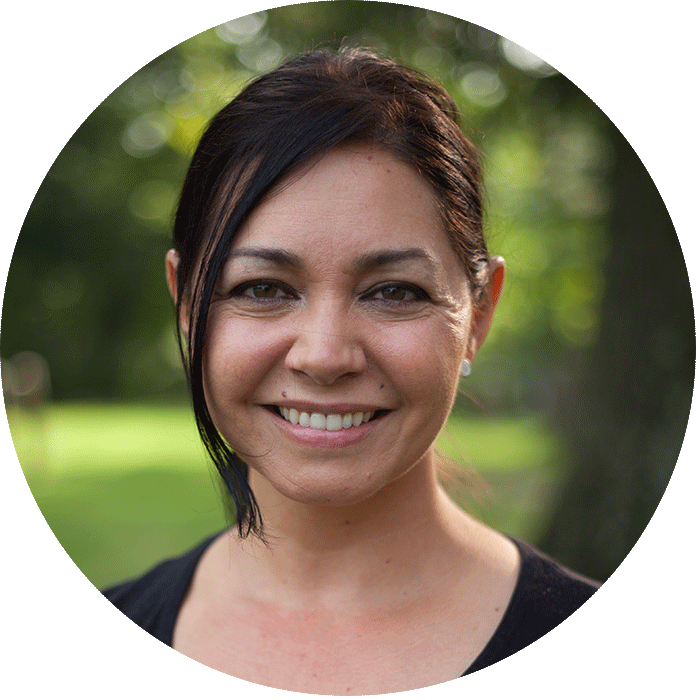 As a teacher, Alisa strives to create an environment where children feel safe and loved and can learn through play. 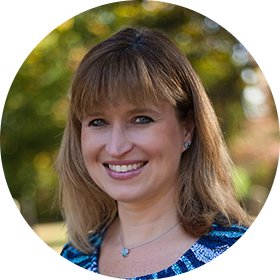 Alisa lives in Basking Ridge with her husband Kevin, their three children Ben, Abby and Caleb, a dog and 2 cats. When she’s not on a sports field or watching a dance recital, Alisa enjoys cooking, reading and spending time at the beach over the summer. Vicki joined Tree House in 2017 and is very excited to be leading the 2 1/2 year old classroom. She was a Tree House parent for 2 years and loves the family/community feel of the school. 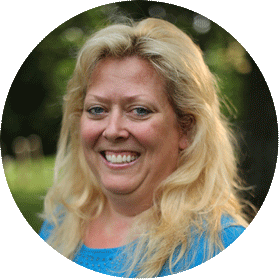 Vicki has a passion for education and is a certified K-9 teacher with a Masters Degree. She taught Spanish, Library, and Technology in an elementary school and has vast experience with substitute teaching and tutoring. She believes in developing a child’s whole self, from social skills to academics to critical thinking skills. Above all she wants her students to feel safe, loved, and happy at school, and focuses on nurturing each individual. She strives to make her classroom a place they want to run to each morning. 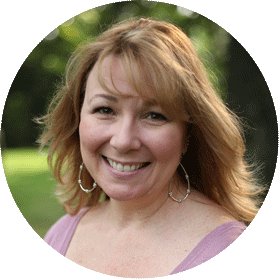 Vicki lives in Basking Ridge within walking distance from The Treehouse. She most enjoys spending time with her husband, 3 young sons, Nate, Zack, and Sam, and their dog, Ginny. 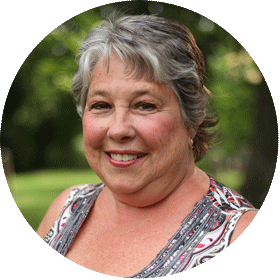 Vicki is very involved in her sons’ school, and enjoys traveling, the ocean, and restaurants. This is one teaching philosophy of Joanne Loya, a seasoned teacher of the two and a half & three year olds, with 30 years experience at The Tree House. 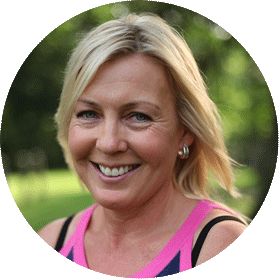 Known for coming up with creative ideas, Joanne’s goal is to foster learning through fun activities where the children are encouraged to be proud of their own creations! Currently in “semi-retirement,” Joanne brings fun and enjoyment to the children in the afternoon program. Joanne truly enjoys interacting with the children and is very happy in her new found role at The Tree House. Joanne has four grown children and is the proud grandmother of four grandchildren. She loves babysitting them, reading, walking and the beach. Wendy joined the Tree House in 2013. 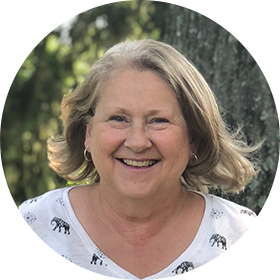 Wendy, a seasoned preschool teacher, has her Associates Degree in Nursery School Education and has been working with young children for most of her life. Currently, Wendy works with Stephanie Cutting in a 4 year old classroom. She loves nature and tries to incorporate it into her time with her students. One of Wendy’s favorite things about teaching is witnessing a child’s ability to use his/her imagination to entertain himself/herself with a simple twig in the grass or even a caterpillar walking along the sidewalk. Wendy lives in New Vernon, NJ with her husband, who has been a fire fighter for 20 years. She has one son who lives in Seattle and works at Microsoft after graduating from college in 2013. 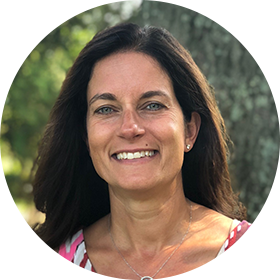 Mary Mazzetta joins The Tree House as an afternoon teacher. She is the mother of two grown children and a grandmother to two beautiful little boys. As a Stay-at-Home Mom, Mary also offered to care for the children of a few working Moms that I knew. The more the merrier! Mary has also worked in several day care facilities and spent a few years caring for my grandsons of course! Most recently, she worked for the Somerset Hills YMCA before and after care programs for school age children. Mary is excited and looking forward to nurturing and watching the children at The Tree House grow! Jennine will be returning for second year as a teacher with The Tree House. Prior to that, Jennine was a Tree House parent for her 3 children! She holds a BA in English and an MA in English Literature from Seton Hall University. Jennine also has an MA in Education pending from Georgian Court College. She taught 1st grade in Metuchen prior to having kids. In her spare time, Jennine teaches Barre classes. The Tree House children have the opportunity to enjoy Mrs. McCue’s knowledge of exercise and movement as she incorporates them in the classroom each day. Jennine and her husband, Brian, have 3 children, Connor, Matt and Kate, and a spunky pup aptly named Scruffy. They live in Basking Ridge and love to vacation at the beach. Caryn is new to The Tree House family this year. She is excited to be working with Tara in the 3’s classroom. 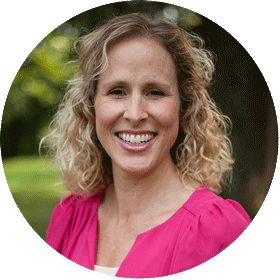 Prior to working with us, Caryn was a School Counselor at the high school level for 11 years. She passionately advocated and supported her students through the difficulties of being a teenager in high school,as well as helped them get through the college application process. She earned tenure at Moorestown High School School In Moorestown, NJ and Hunterdon Central High School in Flemington ,NJ. Caryn was born and raised in Bucks County, PA. She loved growing up with a big family and wanted the same for herself. She is now the mom to four children. Her daughter Emma is going into 3rd grade, her son Rocco is going into 2nd grade and her son Ryder will be in Kindergarten. Wynston, her “bonus” baby, just turned one year old in June. Caryn loves cheering for the Eagles, Flyers and Phillies sports teams with her kids. Caryn also loves running and working out with her husband Trevor. Christina has been a substitute teacher at The Tree House for 2 years. Before that, Christina was a Tree House parent as her two sons attended The Tree House. Prior to having children, Christina was an elementary school teacher in New Jersey for 10 years. This year, she will be working with Wendy Marchev and Stephanie Cutting in a 4-year-old classroom. 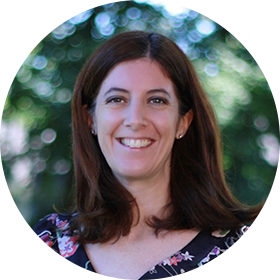 Christina and her husband Doug have two children, Jack and Alex, and live in Bernardsville. In her free time Christina enjoys spending time with her family, volunteering, baking and going to the beach. Carol Torr, who co-teaches the Bridge class with Lisa Fitzgerald, has been a teacher at The Tree House for 20 years!! Carol is known for her kindness and compassionate heart for all those she encounters – parents, children and colleagues alike. Laughter can often be heard emanating from her classroom, and Carol believes it’s important to laugh often and have fun. A sense of humor is an essential tool in instilling the kids with a sense of self worth. So is the ability to admit mistakes: “We as teachers admit every mistake we make, so the children learn it’s ok to make mistakes, admit them, and grow from them”. Carol lives in Basking Ridge with her husband, Mike. She has two grown children-Michael and Steven -and two cats and a dog! When she’s not at the Tree House, Carol is busy gardening, cooking and reading! 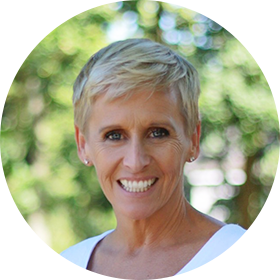 Jayne van der Valk joined the Tree House in the Fall of 2017. She manages the day to day operations of the Tree House office. Her goal is to make each family feel welcome and appreciated when they walk through our doors. Jayne has a degree in Business from Keene State College in New Hampshire. Prior to working at Tree House, she was the Director of Major Accounts at KB Toys, where she was able to indulge in her love of toys every day! 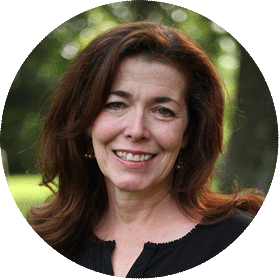 Jayne lives in Basking Ridge with her wonderful husband, Eric, two sons, and Harry Potter the wonder dog! 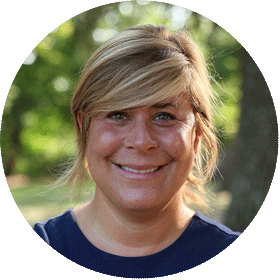 Celesta Walker is new to Tree House, but she has over 10 years of preschool teaching experience in Basking Ridge. Celesta brings a lifelong love of teaching to her job and enjoys engaging kids in creative play, movement, motor skills, reading, art, and developing the whole child. A child’s “Ah Ha” moments are her biggest rewards. Listening, nurturing and respect for the student are the core of her teaching philosophy. Celesta lives in Basking Ridge and will soon to be an empty-nester with her husband Scott as her daughter embarks on her journey at Penn State. She also has a son in Portland, Maine. As a Maine native she constantly works on pronouncing her “Rs”. 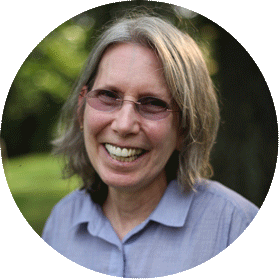 Lynn Wolf has been a teacher at The Tree House for more than 20 years, most of that time spent teaching the two and a half and three year olds. Flexibility is an essential part of Lynn’s teaching philosophy and Lynn knows that sometimes the best laid lesson plans may need to be altered to go along with the flow of the classroom. She and teaching partner (and her sister) Mary Critchfield are very aware of the queues they receive from the children themselves and lovingly adapt to make every day the best day ever! 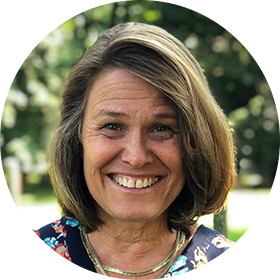 Lynn has three children and resides in Bernardsville with her husband Darin, youngest daughter, dog Logan and former “member” of The Tree House, Nibbles the Guinea Pig. In her free time, Lynn is very involved with animals and horseback riding. The family pet, Ryan, a charming pit bull mix, is a rescue dog from one of the organizations of which Lynn is a devoted volunteer.